Amigurumi is the Japanese are of crocheting small stuffed yarn creatures. The word is a portmanteau of the Japanese word ami, meaning crocheted, and nuigurumi, meaning stuffed doll. This class is for beginners. You'll get started with chain, single crochet and double crochet stitches the first two classes. Choose a skein of Plymouth Encore yarn and a H hook and you will be on your way! On the 3rd class, you will pick out an easy project, learn to read simple crochet instructions & work on your chosen project for the remainder of the course. During the first 2 classes, you will learn to cast on knit, purl increase, decrease & cast off. On the 3rd class, you will pick out an easy project, learn to read simple knitting instructions & work on your chosen project for the remainder of the course. Building Blocks is a skill building workshop that has students knitting a different 12 inch block every month that can be pieced together to create a lovely sampler afghan. The emphasis of this class is EDUCATION. Students are guided through the various stitches and techniques each month as their knitting knowledge is increased. With a different skill focus each month there is something new to learn at each class. Topics such as gauge, cast ons, bind offs, cables, increases, decreases, lace, pattern reading and more are covered. Join in the fun! 2nd Wednesday of every month, 5-6:30 p.m. $12/month or $132/year (paid in full) Book & yarn must be purchased at MYS! Learn how to choose the right yarn for any project. Students will learn how to read yarn labels, how different fibers behave, how to substitute yarns, how to determine yardage needed and how to make a measureable gauge swatch. Students will also learn the basics of blocking, including wet blocking, mist blocking and steam blocking and when to use each technique. Learning continental knitting, sometimes called picking, can help give you options while knitting. Some knitters find that they can knit more evenly and quickly with this method. Students will learn both knit and purl stitch. 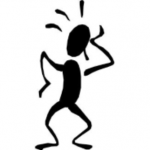 Additional practice is advised to become proficient. Are you tired of running into the shop every time the stitches fall off the needle? 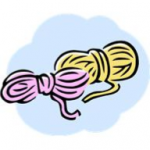 Come and learn how to correct common mistakes made while knitting. You will learn to pick up dropped stitches in stockinette, garter, and at the end of the row. The class will include exercises in dropping down pattern stitches, picking up dropped stitches, and ripping out rows of knitting and getting stitches back on the needle. So most of you know that Darlene is all about fit. And, several have voiced the idea that they would like a basic sweater pattern with a little more interest. Well, now you can have a pattern custom written for your measurements and your gauge. Darlene will walk you through the process. Visit https://customfit.amyherzogdesigns.com/info/ for more info on the process and to see the designs available. Pre-registration required. Using a basic formula, you will design your own Pi Shawl. Learn the technique of double knitting while making a cowl. Double knitting produces a fabric that is reversible and looks like Stockinette on each side. Spend the entire day learning about entrelac knitting, including it's origin, it's unique characteristics and projects that use this technique. Learn a simple slip stitch pattern while making a cowl. 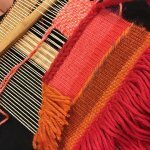 Using a frame loom, students will learn some basics of weaving, including how to warp the frame, how to create some simple stitches and how to let the design process flow while making a simple wall hanging. No experience needed. Frames available at MYS. Learn the parts of the loom and weaving terminology. Students will assemble their loom, warp it and do a balanced weave using worsted weight yarn purchased from MYS. 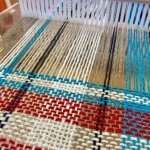 This basic class is a spring board for more advanced weaving technique classes to come. If bringing own loom, make sure it is a rigid heddle and is no bigger than 20". Check with Georg if uncertain. Find out what a "moebius" cast on is and when to use it! There are 20 squares in this beautiful cabled afghan by Norah Gaughan. Students can choose to do all 20 squares over 20 months or just 12 squares over 12 months. Each square is different. Pattern is free. The complete afghan with 20 squares takes 4 skeins of Berroco Vintage is 5 different colors. There is also the option to only do 12 squares for a smaller afghan. Learn plaids and stripe color patterns with your rigid heddle loom. Knowledge of plain weave (tabby weave) is necessary. Students must know how to warp a loom. The Log Cabin pattern is a color-and-weave pattern which basically means that the way the warp and weft strand colors interlock creates the pattern. Knowledge of plain weave (tabby weave) necessary. Students must know how to warp a loom. Designed by Mary Beth Temple.